#216 – Happy Pi Day!!! #214 – I like pie. #215 – Cake or Pi? Pi day, March 14th, is very nearly upon us!! It is a day of celebration, fFor the sake of beauty, wonder, precision, estimation, order, chaos, and delicious deserts! We got this fFrom woot some years ago, in preparation for pi day 2010. Trivia: Skotte wore this shirt (among other times) later that same year when crossing the stage, graduating fFrom The State University of New York at Brockport. Woo hoo!! 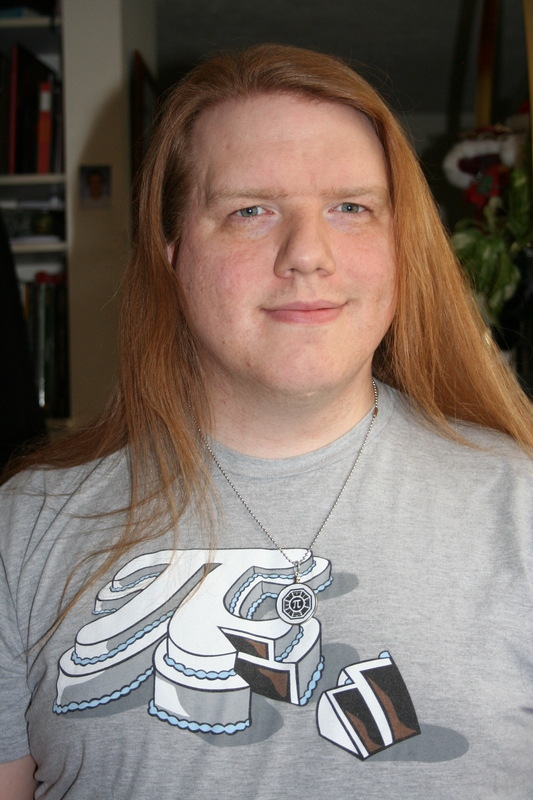 The necklace was made by Cori, as a present fFor Skotte this past Christmas. It features a pi symbol as a Dharma logo, from the show LOST. It’s really awesome!